From light beach reads to educational nonfiction, here are summer reading recommendations from NBC Out’s contributors and social followers. A collection of first-person narratives of awkward text messages, ruined relationships and Grindr hookups. After being caught in bed with his secret lover by his grandmother, Rasa embarks on a 24-hour journey of self-reflection and self-discovery in an unnamed Arab country. This novel follows the lives of four college graduates as they chase fame and success, overcoming — and sometimes falling victim to — abuse, addiction and the different obstacles that come with growing up. Lifelong buddies Tai and Ollie have to wrestle with the possibility of ruining their friendship for a romantic relationship when Ollie’s pro-surfing career comes within arm’s reach. Mike navigates through rejection and reconciliation after an intimate moment with his schoolmate Sean is filmed — bringing his secret relationship to the attention of the entire school and his pushy father. 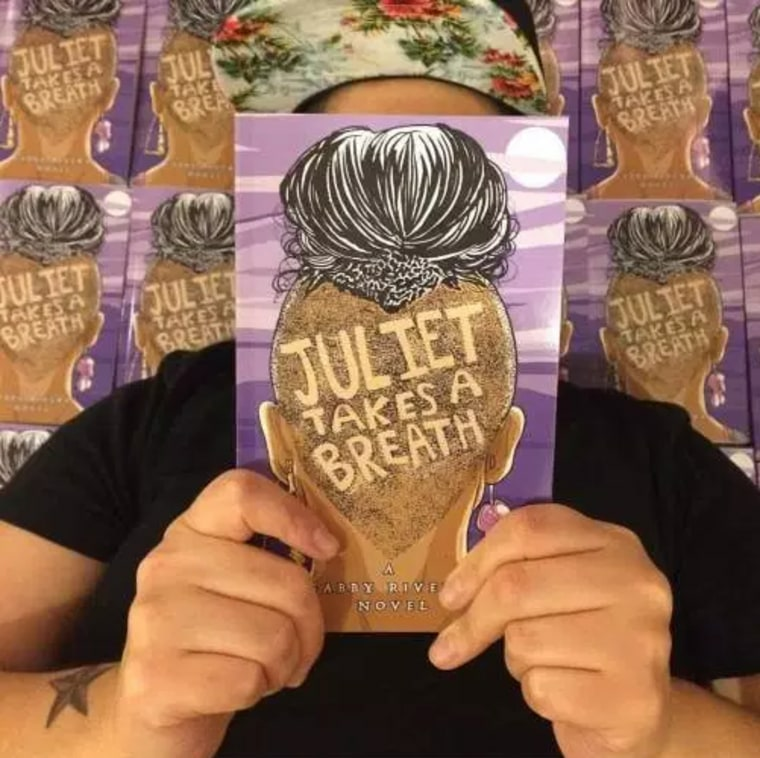 Juliet Palante travels to Portland, Ore., to intern with her favorite feminist writer, leaving behind an unfortunate coming-out experience in search of a clearer understanding of herself and the world. Looking to improve her college applications, Jessica Tran gets an opportunity to intern for a super-villain alongside her crush, Abby. Wendy Darling, once known as Peter Pan, returns to Neverland after realizing he can no longer resist identifying as male, and upon arrival finds himself attracted to his enemy, Captain Hook. Theater kid Simon Spier faces blackmail when his emails to a secret lover are discovered by a classmate, making him the lead actor in a real-life drama. The gay son of a Baptist minister, Conley recounts his experience enrolling in conversion therapy and coming to terms with his identity. A film-adaptation is set to be released in 2018. Bill Hayes captures his moments with his late-partner Oliver Sacks, who he fell in love with after buying a one-way ticket to New York City, following his other partner’s death. Judith Carrigan feels the aftershock of one night spent in the ruins of Philadelphia's Eastern State Penitentiary as a college student in 1980, forced to choose between testifying to her friend's innocence and the life she's built as a travel writer, mother and wife. Sometimes funny, sometimes sad, but always insightful, Ken Schneck takes readers along his journey across the globe in search of meaning. A follow-up to The Andy Cohen Diaries, the beloved TV host continues to bring readers along his life’s adventures. Lillian Faderman curates an archive of the LGBTQ community's struggle for equality in the U.S. from the 1950's to the 21st century.